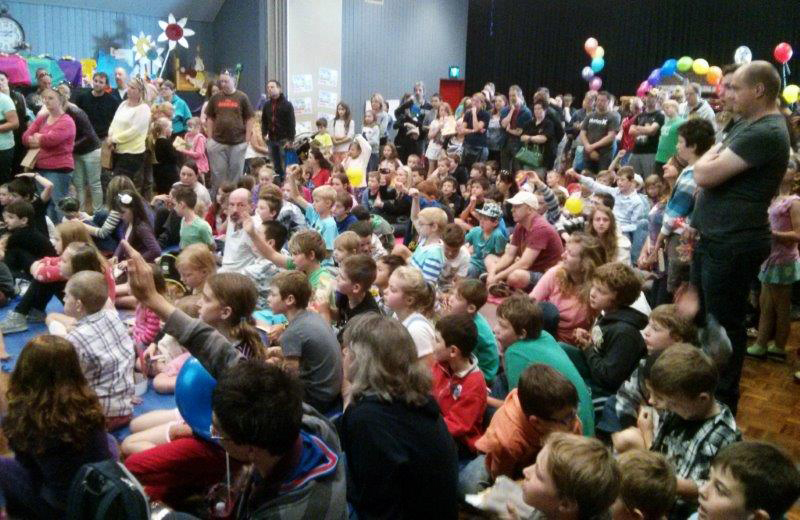 Without a doubt, this is the biggest and broadest program we’ve put together yet for Celebrate Mooroolbark festival. So we thought we’d share with you some personal picks on how some of our team members would spend their day at the festival. I would absolutely get down and practice your handballing with Mooroolbark Auskick at 11am and be wowed by the talented Yarra Heights Dance Academyat 1:45 at the Active Living Hub! The Active Living Hub is a new addition this year and a fantastic way to get involved with the local sporting and fitness groups in our wonderful community. After that I’m going to head down to the Youth Stage and see all the amazing talent that our community has to offer. In sticking with our sustainable theme, the Youth Stage is being powered by biodegradable fuel generators from Green Power Solutions! For more details on all the wonderful programs on offer tomorrow, check out our program page here. Many stalls will also run free activities, not to mention the Scout Bridge on the ridge! 2014 – A flourishing community celebration! It was a beaut day! 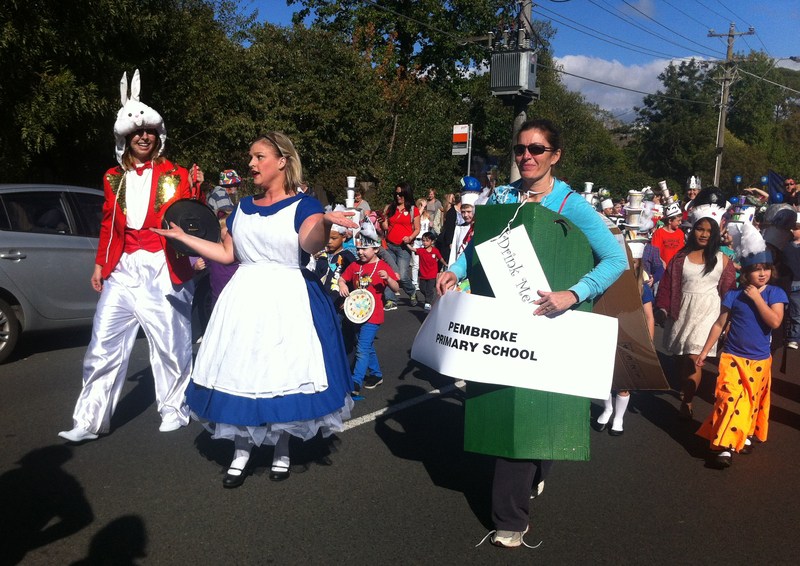 Celebrate Mooroolbark 2014 – a flourishing community celebration! …people simply enjoyed being together! And a closeup of that hat! Thanks everybody! And plenty of plaudits to our sponsors: Yarra Ranges Council, Bendigo Bank, Lions Club, Living Today in Mooroolbark, The Professionals, Rokat Design, St Francis in the Fields, Goodlife Health Clubs… See you next year! If you’d like to stay in touch please join our Facebook page, where we’ll be posting more photos and announcing competition winners over the next 2 weeks. We welcome your feedback there or write to admin@celebratemooroolbark.com or if you’d like to join the organising committee contact Barb at barbara@celebratemooroolbark.com or phone her on 0417 381 542. 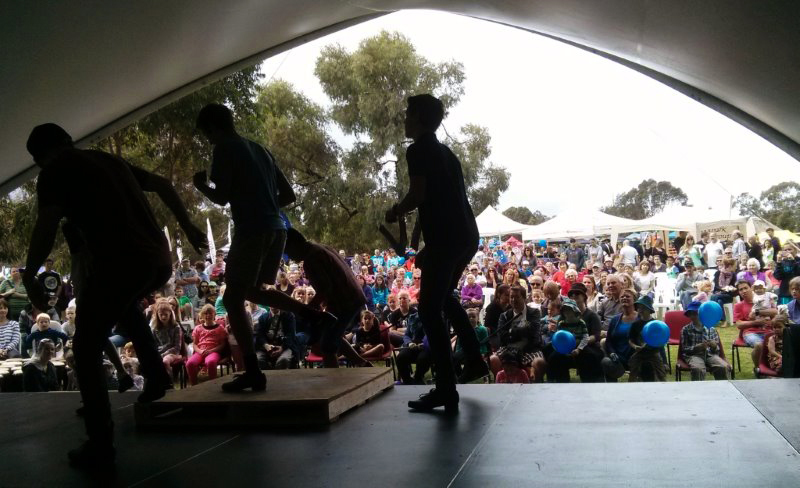 Celebrate Mooroolbark 2014 – a fantastic night and day of local culture. The 2014 festival will open on Friday night 21 March with a 7.30pm Talent Quest in the Community Centre. Tickets will be $5, which includes supper. 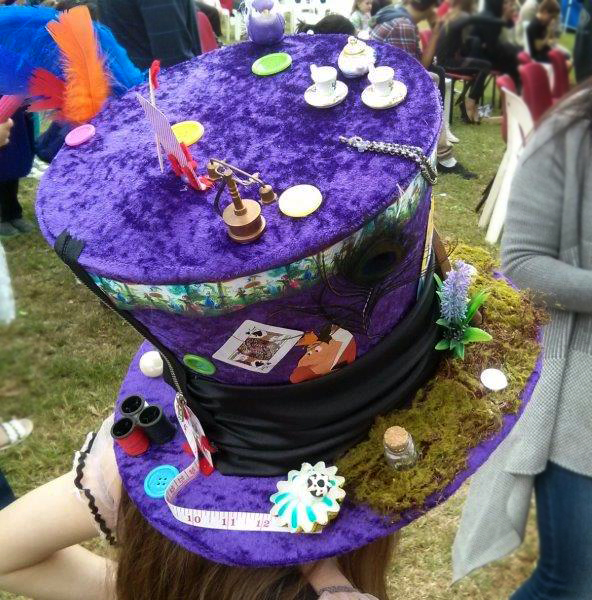 The festivities continue on Saturday 22 March from 9.30am to 4pm, with a colourful street parade of local schools and community groups wearing costumes to reflect the Mad Hatters Tea Party theme of the 2014 festival. 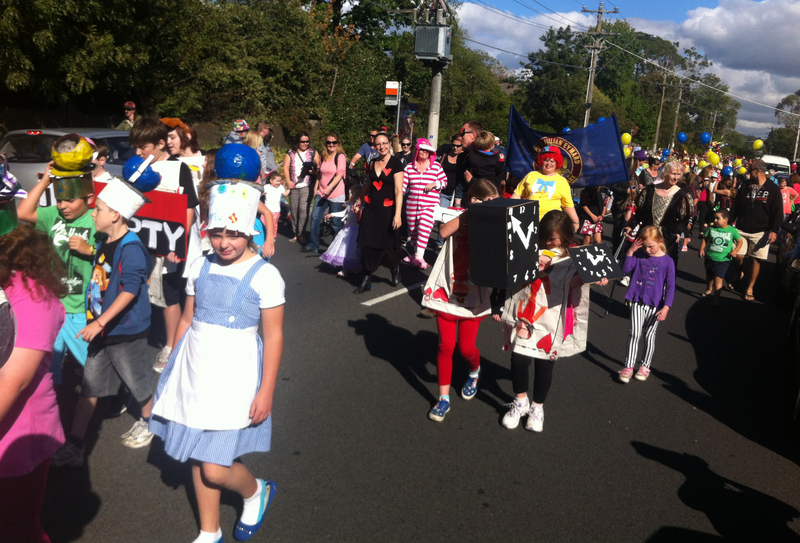 Follow the Street Parade along Brice Avenue, past Mooroolbark’s local shopping strip to the festival hub at Red Earth Park. There you will find an abundance of free and low cost activities for the whole family. Every year a full stage program highlights local talent, with room for a picnic in front, there’s ample choice of delectable treats from the food stalls all around. You’ll also find community information and market stalls, rides, face painters, balloon animals, roving performers, story-telling, an animal farm, pony rides and more! In 2014 the 40-strong Australian Youth Band will be performing on the main stage, as well as the Yarra Hills Secondary School ensemble. The FREEZA stage will host a number of local bands. The hugely popular Tubby the Robot will return with her baby to roam the Red Earth Park, along with Kofi the West African Drummer and the wonderful Ghawazee Belly Dancers. For more details go to our Program page. Many competitions and prizes will also be available for schools groups and community members to get involved in. Contact us to get involved or follow our Facebook page for all the latest updates!